This computer activity is an introduction to cladistics, which organizes living things by common ancestry and evolutionary relationships, enabling us to better understand life's present diversity and evolutionary history. 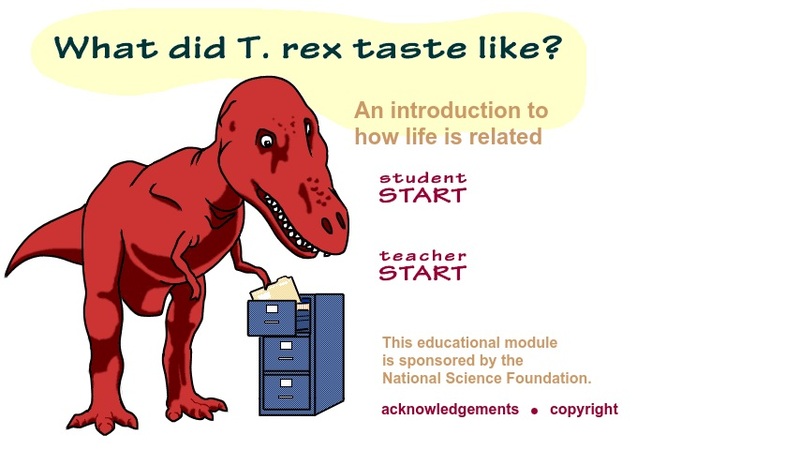 The predictive power of cladistics can be used to answer questions that cannot be answered by observation of a living organism, such as What did dinosaurs taste like? This site presents a simplified version of the process used to generate cladistic analyses. A teacher's section provides lesson plans, handouts, and assessment tools.